Most recent posting below. See other blogs in the "Other Blogs" section at the bottom. There's a reason why people love looking at photos of homes for sale — it's rare that we get to see a place look it's very best, and scrolling through gorgeous room after room helps serious buyers see themselves settling down in those very rooms. But as any seller (or photographer) can attest, getting a home ready for its close-up (also known as "staging") is not easy and is definitely not always fun. It involves a ton of cleaning, some furniture removal (or placement), a plethora of attention to detail, and usually a lot of light. This is why professional stagers charge hundreds (sometimes thousands) of dollars for their services. If hiring a stager isn't in your budget or you're simply more of a do-it-yourself type, consider taking advantage of these relatively quick and easy methods for helping your soon-to-be-sold home appear shiny and new. First is the clutter. This might be a good time to join the neighborhood garage sale or arrange for your sister-in-law whose kids are a few years younger to come pick up all the hand-me-downs you've been promising. It always makes sense to start with things that you don't want to pack up and move to a new location. Don't forget about the furniture — too much furniture in a room makes it look cramped and small, so remove what you don't need. Resist the temptation to box everything up and stash it in one room, the garage, a basement or attic — unless it's not your room. Buyers are going to want to open doors, cabinets, and drawers, and peer into closets and utility rooms, so if you want your home to look its best, you need to keep those areas neat, too. When the surfaces are clear and your surroundings are feeling more vacation-home than lived-in, it's time to deep clean those surfaces. Scrub the inside from ceiling to floors; wash your windows; consider power-washing the outside to brighten it up. Plant new flowers, keep your sidewalks and walkways clear and weed-free and set some inviting chairs with fluffy cushions on your (freshly polished, cobweb-free) front porch. Once the decluttering is done, it'll be much easier to get everything looking shiny and new — and easier to hire help, too — so make sure to tackle this step first. If you haven't changed a light bulb in a while, then you might be surprised by how much brighter they've gotten — or what a difference a bright bulb can make in a room that you thought was naturally dreary and dim.Changing out your bulbs can be a quick way to give your entire home a quick lift, brightening up every room and helping potential buyers see exactly how well-maintained those original wood floors are, and examine the crown molding close up. 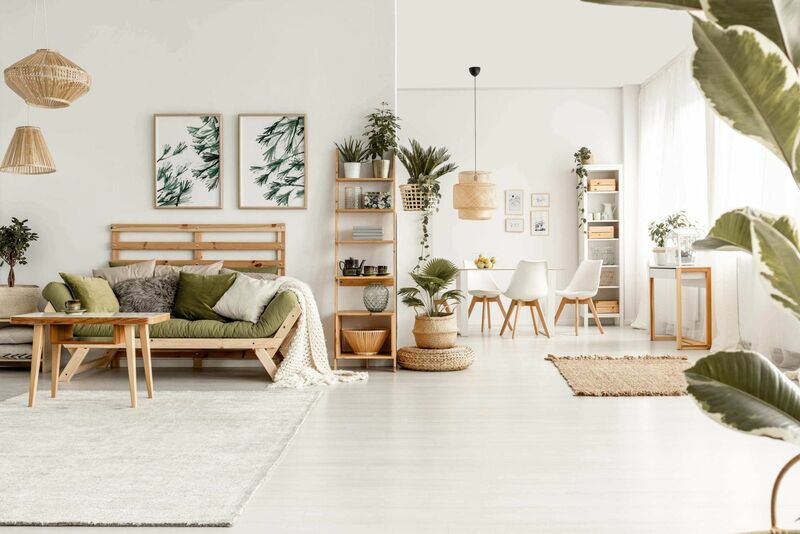 Most of us don't live in perfectly symmetrical surroundings, but if there's a way to achieve it with your furniture, then it's worth it to try — at least for the photos. Try to balance any shelves, counters, and mantelpieces in the same way, with an eye for highlighting the accessories that will help make your home look like a retreat from a messy world. There are always going to be parts of your house that are made to hold "stuff" — but you can make that stuff look presentable with a little bit of organization. Some decluttering and color-blocking on your bookshelves can make the display draw the eye instead of distracting from the rest of the room, for example. Kids' and pets' toys are another opportunity to organize and beautify with a decorative box or basket, or a fun shelving unit that holds everything with style. Straighten your shoes on the closet floors and neaten up the hanging areas, then open up the doors when you leave for a buyer's tour. They'll enjoy the welcoming feeling of the open doors (and you know they were going to open them up, anyway). You don't need to take all these tips when staging your home — but don't ignore them all when you're selling, either. Taking the time to pay a little bit of attention to staging before a buyer even sees the place can reap big rewards at the closing table. 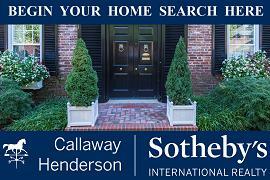 Top 5 Reasons to List your Princeton Area Home Now! Is Winter a Good Season for the Real Estate Market? Should Princeton Home Owners Know What a 1031 Exchange is?